As the fifth most common cause of death and the leading cause of long-term adult disability in the world, strokes pose a widespread public health dilemma. And while many studies have proven the viability of using telehealth services to rapidly address patient needs, providing cohesive care between facilities is a critical component that needs to be addressed. As telehealth’s stroke treatment use continues to grow, Avizia remains committed to ensuring physicians and executives are informed regarding current industry standards. That is why we are sharing the Recent Stroke Guidelines from the American Telemedicine Association (ATA) regarding stroke treatment. Overall, this document aims to provide a standardized approach to assessment, diagnosis, management and consultative support to patients exhibiting symptoms and signs that are consistent with acute stroke syndrome. The new ATA guidelines also address the roles and responsibilities of the responding telehealth team and provide hospital executives with recommendations for seamlessly incorporating telestroke services into their model of care. Furthermore, the guide paper states agreed-upon roles for coordinating telehealth are important for support and buy-in of key stakeholders, like the hub/distant site physician director, the program manager, the emergency department stroke champion and other roles. Beyond the Health Insurance Portability and Accountability Act (HIPAA) and the Health Information for Economics and Critical Health Act (HITECH), ATA’s guidelines encourage facilities to address privacy and security needs for each of its patients. 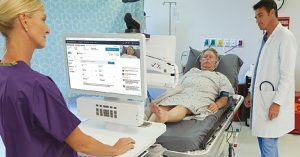 It also states the importance of providing this information to acute stroke patient families and educating patients about the role of telestroke platforms, including any translation services they may need. 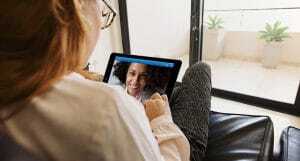 The guidelines encourage facilities to also create an ongoing telemedicine budget, so they may stay on top of hardware and software upgrades and address payer reimbursements, grants, private contributions and other fiscal items as they arise. Perhaps most importantly, telehealth providers also need to have a concrete process to monitor quality and outcome metrics. In addition to ongoing patient care, the document discusses protocols for research and clinical trials. The guidelines recommend research activities should compare telemedicine with in-person evaluations and should conform to local institutional review board approval practices. 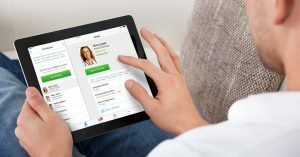 As for telehealth devices themselves, the guidelines say facilities must provide real-time, two-way communications, optimized for bandwidth and monitored for general mobile device management – this includes oversight of apps, data configuration, and security. Devices must also have a passcode, biometric identification or other login protocols and should be configured for point-to-point and, ideally, multiparty connectivity. Organizations looking to use telestroke should consider creating data policy and procedures regarding storage, restrictions and how those are communicated to the referring or consulting site. As telehealth evolves into a more mature healthcare solution, the industry needs a set of guidelines like the ones created by ATA to ensure cohesive care between facilities. We at Avizia are encouraged by these updated standards and the bright future they detail for the future of virtual care.